West Fell is one of three distinct summits on the long ridge descending from The Calf that divides the valleys of Langdale and Bowderdale. 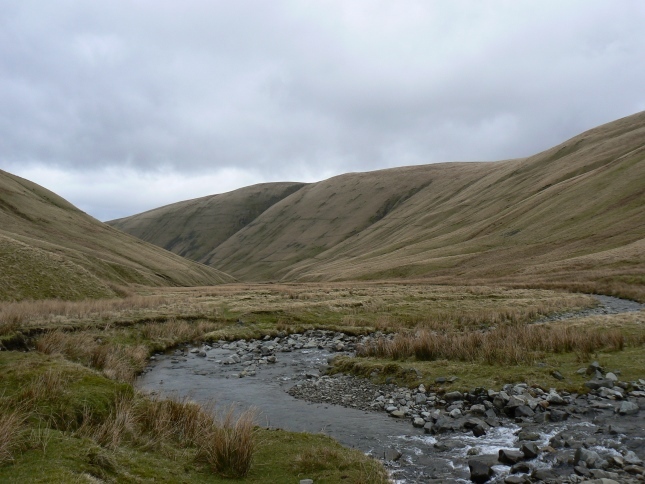 The steep eastern flanks of West Fell run over half the length of Bowderdale. To the west equally steep slopes drop down into Langdale. To the north-west a secondary ridge breaks off leading to Langdale Knott. 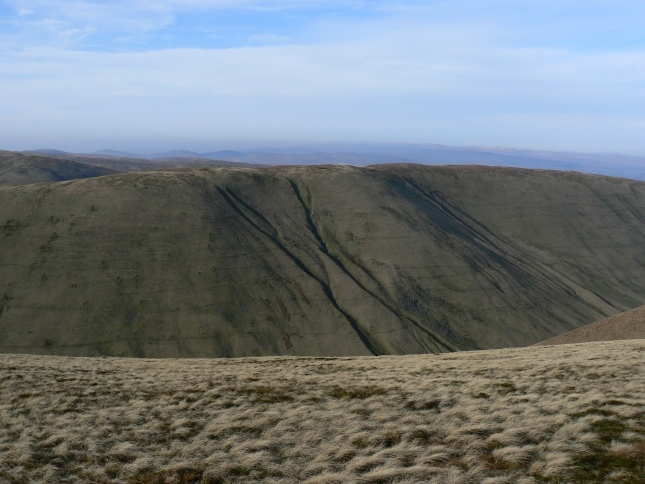 The northern and southern slopes on the ridge itself are much gentler and lead to a fairly flat grassy summit. A tiny pile of stones can be found on the summit. 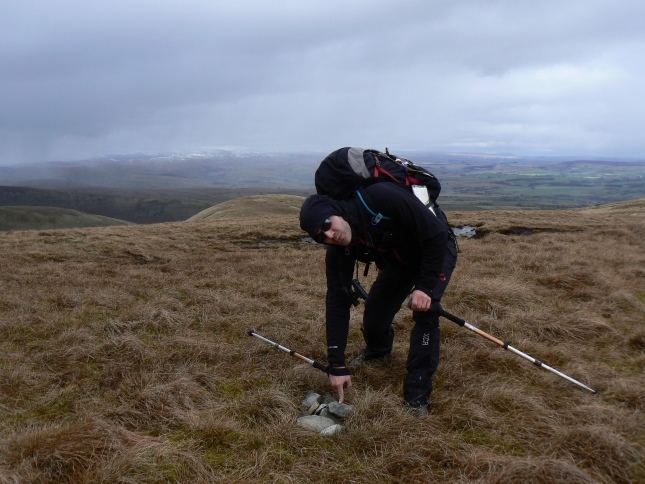 The Database of British Hills lists a blade of grass 2m from the ‘cairn’ as the highest point of the fell. Well actually that is being a bit facetious but sometimes you can be too exact and the pile of stones is as good a place as any for anyone wanting to take a ‘summit’ photo. The walk along the ridge is a grand one. As with neighbouring Hazelgill Knott and Langdale Knott the views tend to favour the Langdale side of the ridge. 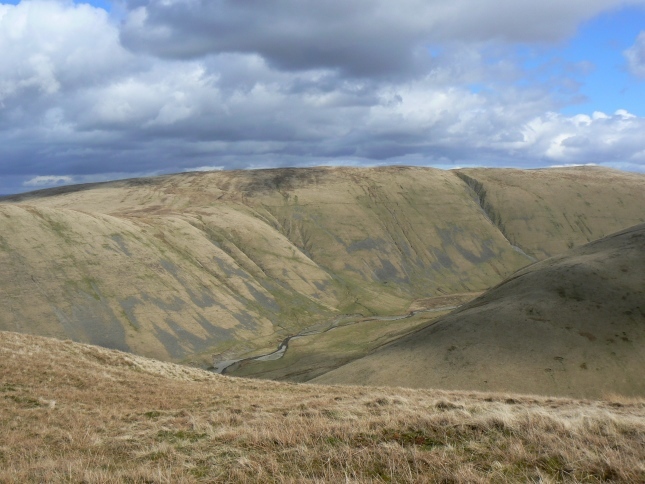 From the north there are two routes on to the ridge, from Gaisgill via the mucky Cowbound Lane, or from the bridleway heading south from Bowderdale Foot. From the south the ridge is gained by a clear track descending from The Calf. 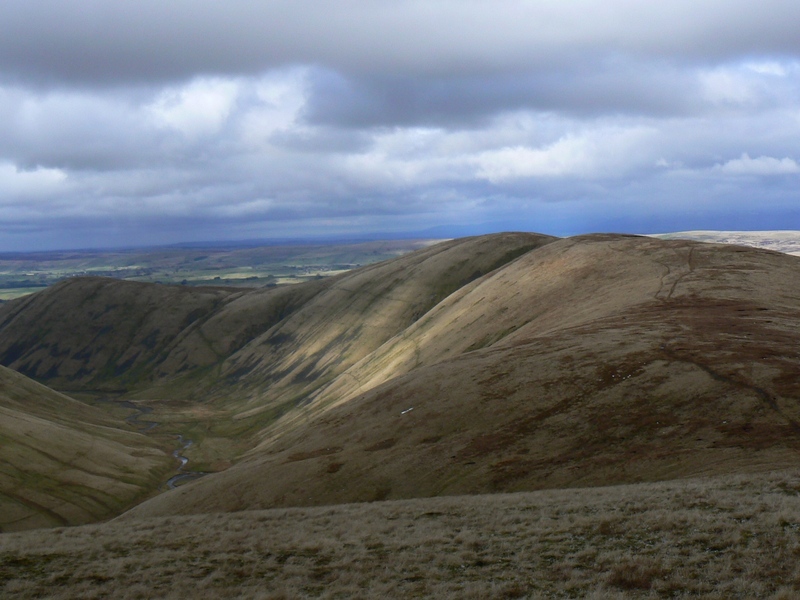 Alternatively West Fell can be climbed directly, if steeply, from either Langdale or Bowderdale.